Reviews and notices for my beloved ELEANOR from around the internet. — "A riveting supernatural character study wrought with the pains of first love and the struggles of self-acceptance." 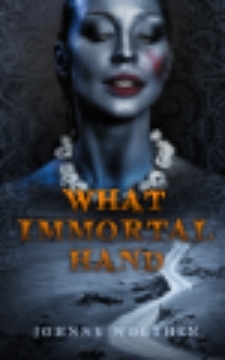 — "A fast-paced paranormal story of love and family, remembrance and survival... Worthen’s handling of the volatile issues of racism, societal inequalities, gossip mongering, peer pressure, bullying, death, and abandonment will provide readers with numerous opportunities for in-depth discussion." — "It is a great novel and lays an intriguing basis for the Unseen trilogy." — "The characters have the depth of real people, so the challenges they face become the reader’s fights, but more than that, the story ambushes you in just a few pages. It’s the kind of book that permeates your mind." —"Every once in a while, like a magic spell, a book series comes along that takes me away to a magical place and never lets me go. Harry Potter did that. So, to a lesser extent, did Percy Jackson. Uglies did a good job, too. And now, I have another trilogy (and maybe more? 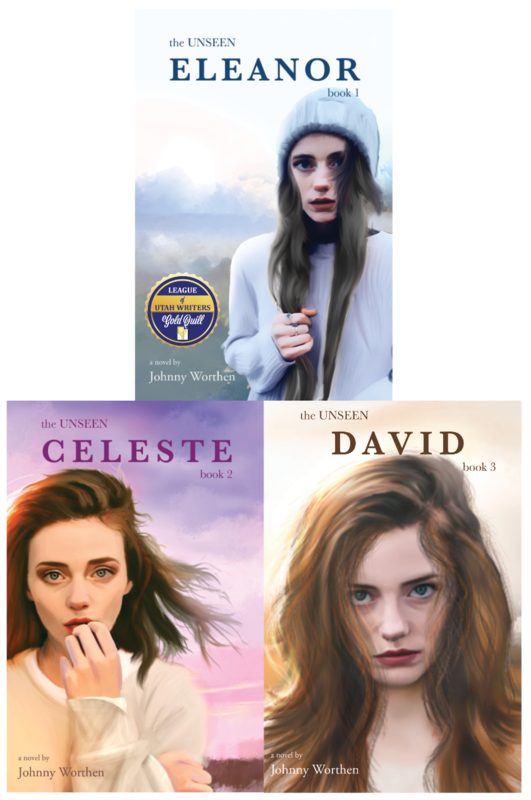 *crosses fingers*) that I can add to my list of must-reads: The Unseen by Johnny Worthen." — "It is, in a word, extraordinary." — "Worthen captures emotion in words." — "Eleanor loves deeply... she's heroic yet vulnerable." — "This book masterfully captures the feel of growing up in a small town where everyone knows everyone and they all think they know what the real stories are." — "Johnny blend[s] the conventions and tropes of YA into a story with a message young adults need and adults need reminding of. It’s very well balanced and is definetly in my top 10 YA Reads this year." — "I was enthralled the whole way through... My advice: buy this book." — "At the heart of the book is their symbiotic redemptive love, a love so strong that it has the power to work miracles." — "Literally made me scream out... But those are the best kind of moments when a book grabs you and makes you feel some type of way." — "The book is fantastic." —"My heart broke for her several times as she struggled against her own assumptions, about herself and others, and tried to find the best solution to problems no one should have to face." 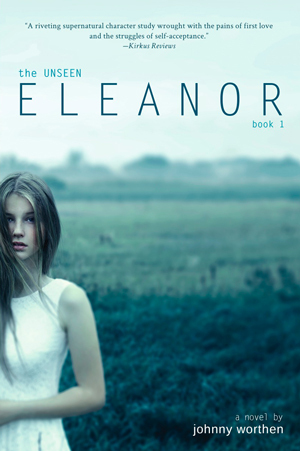 — "Eleanor is a beautifully written, moving young adult novel. 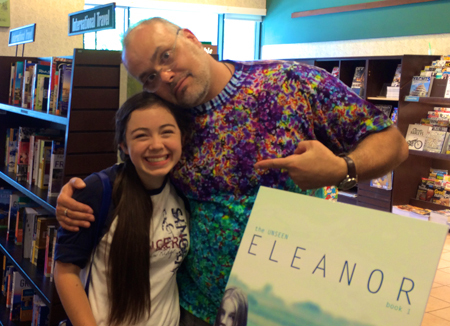 Eleanor, book one in The Unseen series, is a winner!" — "So here’s a stack of books at home that will be going into the library in August, Which ones are my favorites? Why the supernatural psycho thriller of course! The Unseen Eleanor"
— "Eleanor is Paranormal at its best!" — "I pretty much ate this book in one sitting. It may just be the best novel I've read this year. ELEANOR explores deep topics, defining what it means to be a monster and what it means to be human. And what it means to choose." — "Her secret is an interesting one that I haven’t found in many books, even paranormal ones." — "It was one of the most lovely pieces of literary fiction I’d ever had the pleasure of reading. The words glided effortlessly into my mind and touched my heart." — "it is truly one of the best written stories I have read in a long time." — My favorite part of Eleanor is the unflinching way it approached timeless, human themes: loss, friendship, family, and the dark parts inside all of us that we'd rather no one knew about. On the surface, Eleanor is a drop in the YA "paranormance" bucket, but if you take the time to read it, you'll find it is so much more." — "If you are looking for a great read, just stop here. You’ve found it." — "Johnny Worthen reels the reader in like a fish on a hook, with anticipation and patience, until he has you exactly where he wants you." — "This is one of the most original takes on shapeshifter legends I’ve seen in YA fantasy." 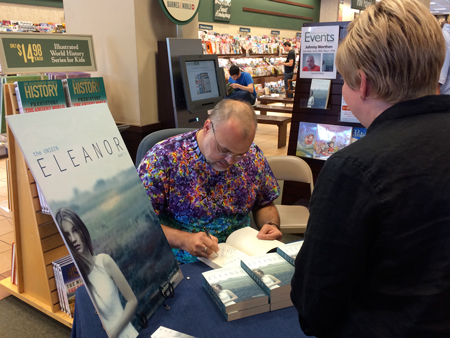 — "I can honestly say that Johnny Worthen has created in Eleanor one of the most multi-faceted (on a few levels one might not suspect), conflicted, and beautiful characters that I have ever read." 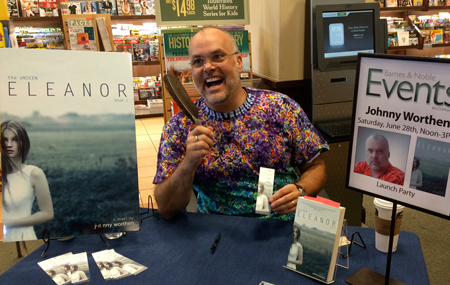 — Personal Blog Post "Letting go of Eleanor"
— Guest Blog Post: "The forbidden hobby that lead to ELEANOR (THE UNSEEN)"
— Guest Blog Post: "What books and movies helped you in the research for your book and it's Native American legend. Do you have a website you would recommend readers who are interested in looking into the subject more?" 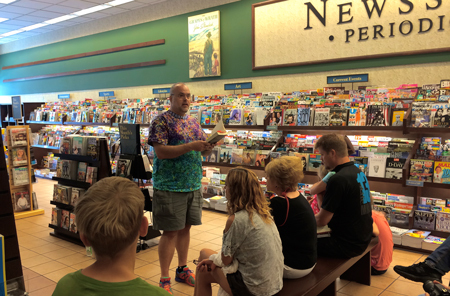 — Guest Post, "Some advice for authors." — Review and Guest Post: "How I came up with the idea for the story and the characters." — Interview, "What made you want to write YA after your adult occult thriller debut, and how are the two experiences similar or different?" — "Johnny Worthen gets a Job Interview"
— Guest Post "In Praise of the Reader"
— Guest Post: "Why is Paranormal so Popular?" — ELEANOR featured on "Over 20 Books Your Mom Will Love"